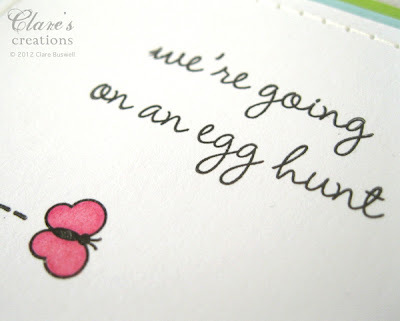 I'm just sharing an Easter card I made, I can't believe how fast Easter is approaching! The initial inspiration came from my fellow WMS design team mate Anya, I love how she cut out the basket and added touches of life with some flying bees! I went a little more vibrant with the colors on my card. All the stamps I used are from the Spring Baskets stamp set by Waltzingmouse Stamps. I love this set there are SO many elements in it, flowers, eggs, baskets, sentiments, little flying bees and butterflies! I love stamp sets you get a lot of use out of! All the elements I colored using acrylic paints. Labels: Easter, Spring Baskets, Waltzingmouse Stamps. Clare, I love your card! What a pretty colorful little scene! Very, very, very pretty! Love it. This just screams spring Clare! I love the bright flowers and the lovely garden scene you created. Great job masking! Just precious! Such great coloring, too! 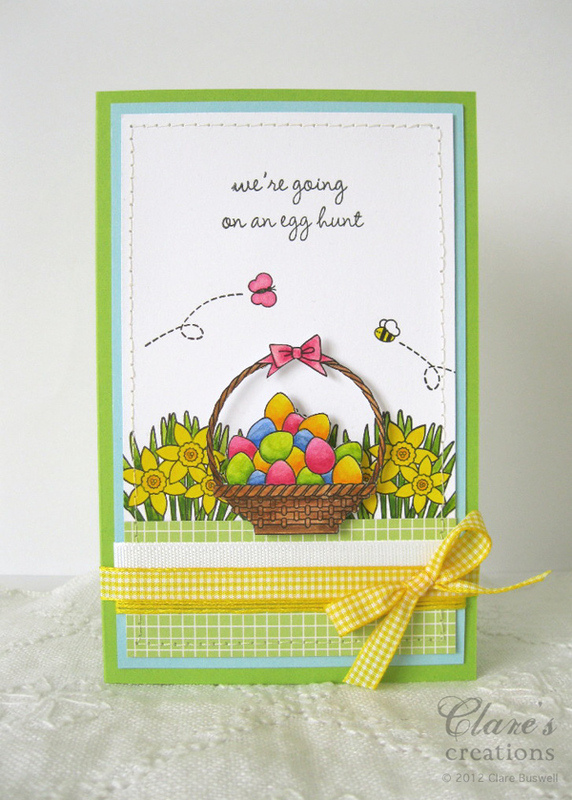 Such a pretty Easter card! 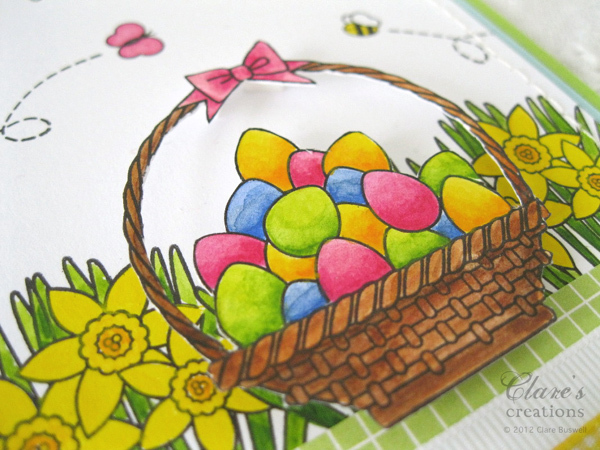 Love that basket of eggs!!! Not to mention all these bright spring colors!! !